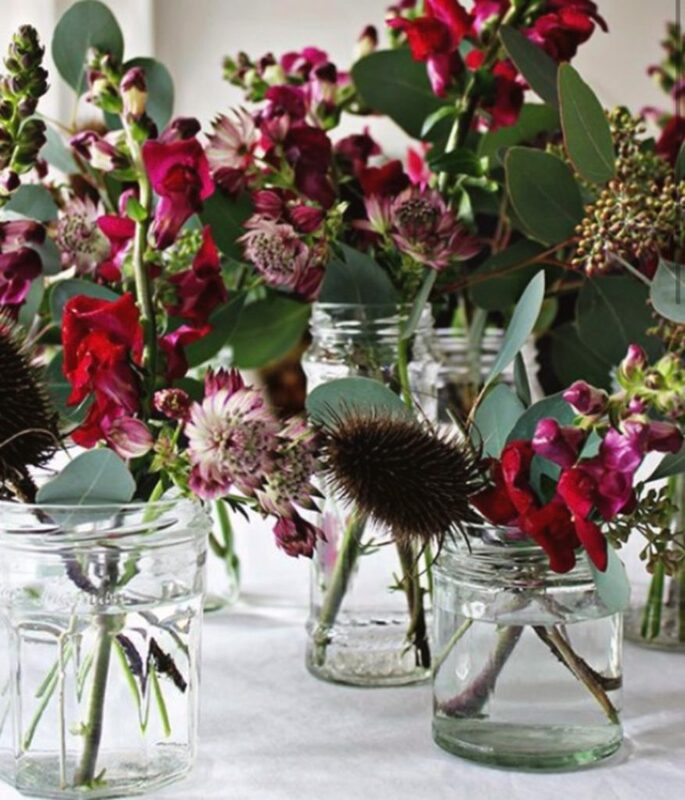 Arrange flowers in a smaller glass vase filled with water. Place smaller glass vase into a larger glass vase. Fill larger vase with water and slices of lemon. 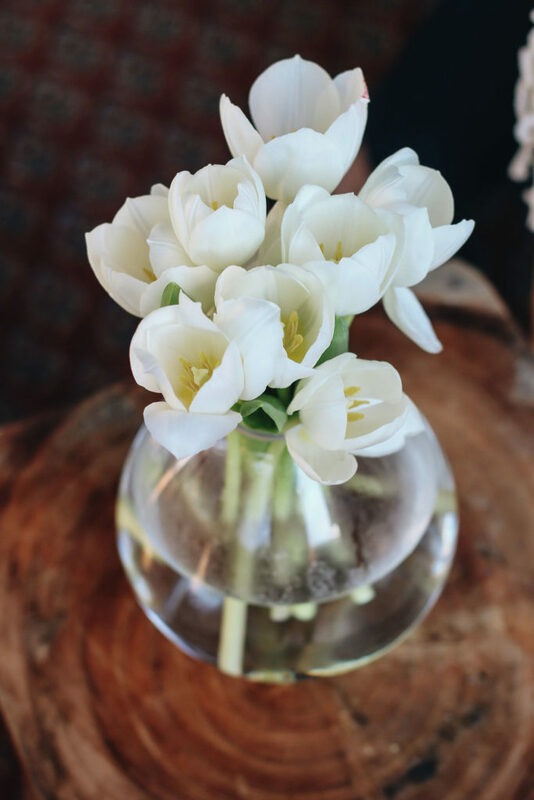 Place tulips (or your favorite flowers) in a single, larger vase in the center of the table or sideboard. Place smaller vases of greenery around or alongside the larger flower vase. Alternatively, you can use multi colored flowers in the large vase and single colored flowers in the smaller vases or vice versa. Fill a bowl with big, bright oranges and place them next to a vase of vibrant flowers with clippings from the yard, including snapdragons and bougainvillea. 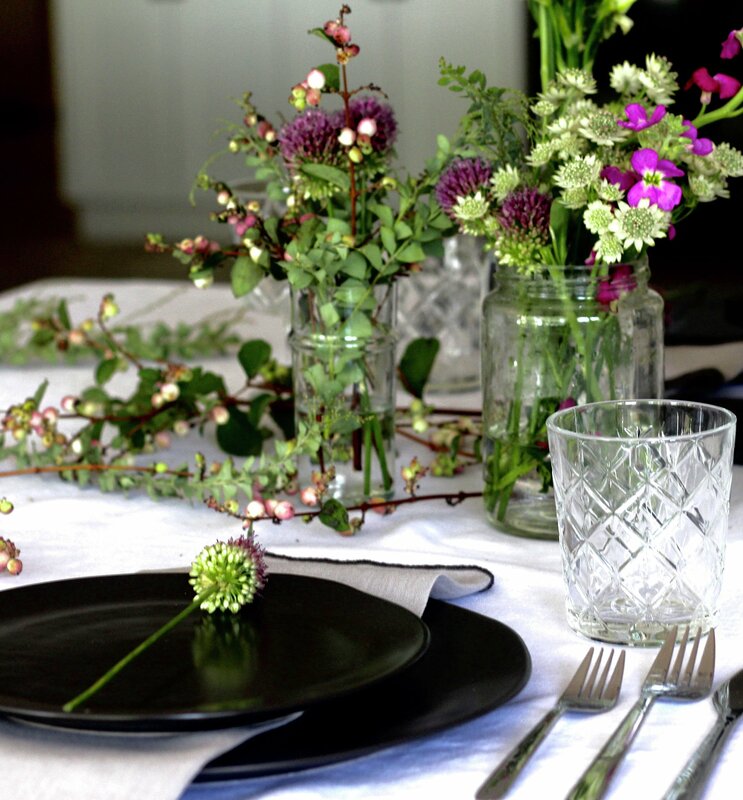 Fill a hollowed-out cabbage with tulips to create a completely natural centerpiece for your table. Use red or green cabbage, depending on the colors of the flowers you choose. Ditch traditional vases in exchange for colorful rubber boots, espresso cups or wide-mouth canisters. 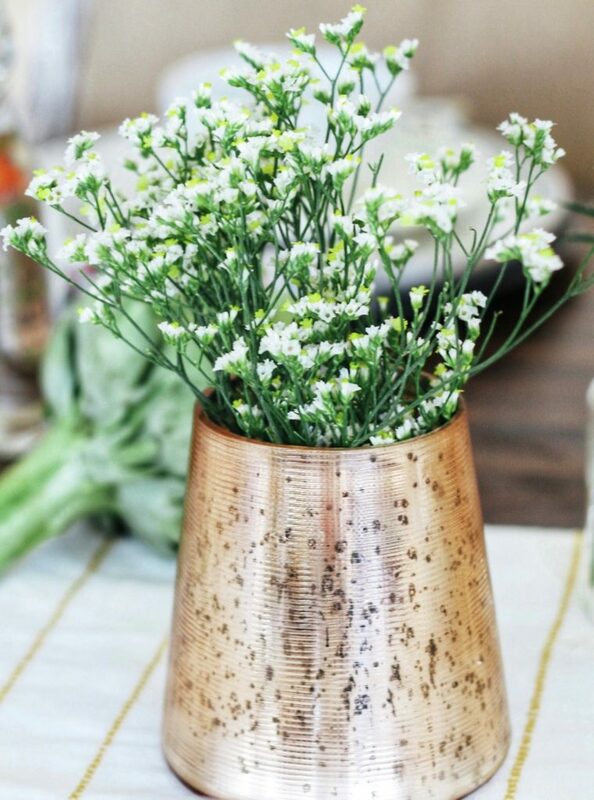 You can even create mini vases using salt and pepper shakers. Decorate a faux bird’s nest with simple white flowers and hyacinth. Don’t feel comfortable creating intricate flower arrangements? Use baby artichokes or radishes for a fun alternative. Swap out dark, winter colors and decorative touches for lighter, brighter spring décor. Think floral pillows, spring wreaths or even crocheted throw blankets in floral patterns or pastel colors. Decorating your home with flowers is a treat for the senses! You can create gorgeous aesthetics that appeal to the eyes and the nose – truly bringing the joy of spring into your personal space. For more tips and tricks to create the perfect home decor, visit us at The Mad Table website. And be sure to like The Mad Table on Facebook and follow us on Instagram for all the latest news, delicious recipes and fabulous entertaining tips and ideas.